Mystery surrounds the identity of a young English-speaking girl spotted living rough on the streets of Rome. The blonde girl, who is thought to be in her late teens, has garnered the attention of several Italians because of her polite demeanour and inability to speak Italian. People have said she refuses to accept money and answers questions in English. 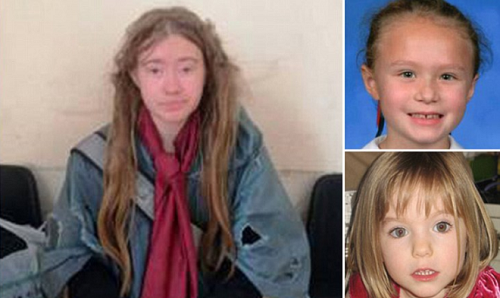 Internet campaigners says she looks like several missing girls, including Amanda Adlai who was abducted in Michigan in 2008, (top right) Maria-Brigitte Henselmann who disappeared from Germany in 2008 and even Madeleine McCann, (bottom right) who vanished in 2007.